Instead of filling yourself with chocolate this Easter weekend, why not feast on a selection of big money tournaments being offered at Intertops Poker. Thanks to a slew of freerolls and value-added multi-table tournaments, Intertops Poker is the place to enjoy some poker this weekend and bulk up more than your waistline. 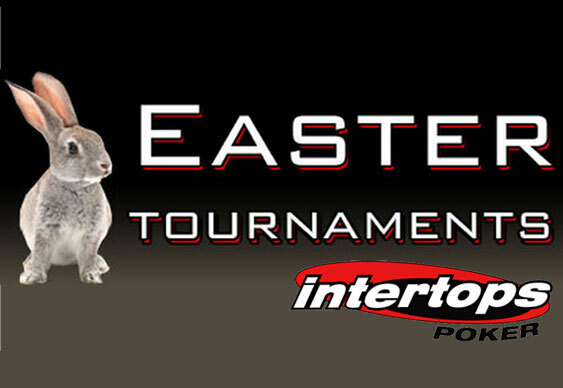 Intertops Poker kicks off its seasonal tournaments tomorrow with a guaranteed Easter Freeroll from 9:15pm New York time promising $220 in total cash before holding a $2.20 buy-in rebuy and add-on tournament at 4:15pm on April 19 complete with a $1,500 guarantee. There will then be a second freeroll at Intertops Poker, this time from 6:15pm on April 19 with total cash of $550 on the line, in advance of a $5.50 buy-in rebuy and add-on event on April 20 at 4:15pm featuring a guarantee of $3,000. Beyond these, a final Easter freeroll worth $2,000 will then bring the Easter schedule at Intertops Poker to a close on April 21 at 9:30pm.